As the School of Medicine (SPU) celebrates its 9th year of excellence in medical education, I have the distinct honour of serving as its Dean. 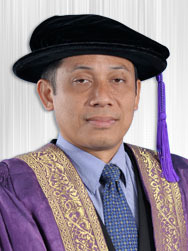 I am very pleased to welcome you to our portal at the School of Medicine, Universiti Malaysia Sabah. This portal is set up to provide visitors with the latest information related to the student affairs, available facilities, academic staff and the various programmes offered at the School of Medicine. We are happy to say that we are on the verge of getting our own teaching-hospital to be located on campus which will serve as an impetus for our young doctors. It is also a channel for one to know the latest news, events and activities that are being either organized at the school or by the school in the university. Dear visitors, this portal is part of our commitment in trying to provide good, efficient and fast service, consistent with the passage of time. Any constructive suggestions or comments are most welcome, which would help us to improve our service and performance as our motto is “Strive to Excel” and excel in every step and endeavour. I take this opportunity to welcome all the visitors and wish that you all enjoy browsing this portal and get the necessary information easily that you are looking for. With this, I also hope this portal will provide inspiration and become a useful source of reference to all our visitors. School of Medicine, Universiti Malaysia Sabah, Jalan UMS, 88400 Kota Kinabalu, Sabah.